David Grotto's Nutrition Housecall | Improving Health One Delicious Bite at a Time! As featured on the National Dairy Council The Dairy Report. Ever since I was a kid, I refused to limit my love affair for cereal and milk to only the breakfast occasion. This combo proved a simple and delicious after-school or before-bedtime snack that I didn’t have to bother mom and dad to “make”– especially considering my limited culinary prowess as a kid. The recipe ingredient simplicity of bowl , cereal , milk and spoon was culinary genius! Maybe, if I felt really adventurous, I’d add on a banana or other fruit topping… maybe. Lastly, cereal and milk are great on-the-go partners for portability, nutrition and deliciousness! TASTE, not nutrition, is the number one reason why people purchase the food they do.6 Because cereal comes in a variety of flavors and textures, cereal and milk can be a perfect solution for making good nutrition delicious and do-able! Here’s some tasty tips that just might fuel right for you! Grab single-serve cartons of cereal and low-fat or fat-free milk from the convenience store on your way to the kid’s game or as a healthy snack between errands. Refrigerate shelf-stable milk cartons and pack it along with single serve bowls of ready-to-eat cereals (RTEC) or RTEC pouches for kids’ lunches. Use milk instead of water to boost the nutrition of your favorite hot cereal. Add in fruit such as mixed berries, mandarin oranges or sliced mango. Fruit can offer additional vital nutrients such as potassium, fiber, vitamin C and folate. Top with nuts for added fiber and healthy fats. Be adventurous. Can’t decide between two different cereals? Play master chef and combine the two, three or more cereals for a new taste sensation. Don’t forget to pour on low-fat or fat-free flavored milk to provide even more flavor versatility! *Choose low-fat or fat-free varieties first. David Grotto, MS, RD, LDN is the author of The Best Things You Can Eat and also the Senior Nutrition Marketing Business Partner for the Specialty Channels division of the Kellogg Company. The opinions expressed in this blog post are those of David’s and not necessarily that of the Kellogg Company. Cereal: The Complete Story. Available here . Accessed October 1, 2014. Kellogg’s: A Historical Overview. Available here . Accessed October 2, 2014. Williams, PG. The benefits of breakfast cereal consumption: a systematic review of the evidence base. Advances in Nutrition. 2014;5(5):636S-73S. O’Neil CE, Keast DR, Fulgoni VL, Nicklas TA. Food Sources of Energy and Nutrients among Adults in the US: NHANES 2003–2006. Nutrients. 2012; 4(12):2097-2120. Song, WO, OK Chun, J Kerver, S Cho, CE Chung, S Chung. Ready-to-Eat Breakfast Cereal Consumption Enhances Milk and Calcium Intake in the US Population. J Am Diet Assoc. 2006;106:1783–1789. International Food Information Council: 2014 Food and health Survey. Available here . Accessed October 30, 2014. Lettuce is one of the oldest known vegetables, native to the Mediterranean region, and thought to have been cultivated for nearly 5,000 years. Apparently Pharaoh was quite fond of the leafy green as homage was paid to him and lettuce in paintings found on the walls of ancient Egyptian tombs. Romaine lettuce was one of the first lettuce varietals introduced to the United States, from England, in the 1600’s. Though it is the second most consumed vegetable in the United States today, lettuce gets a bad rap as just being a gateway vegetable for dressing. At best, it’s credited with making other vegetables tolerable. But finally, lettuce, thanks to researchers at Rutgers University, lettuce has finally come into its own. 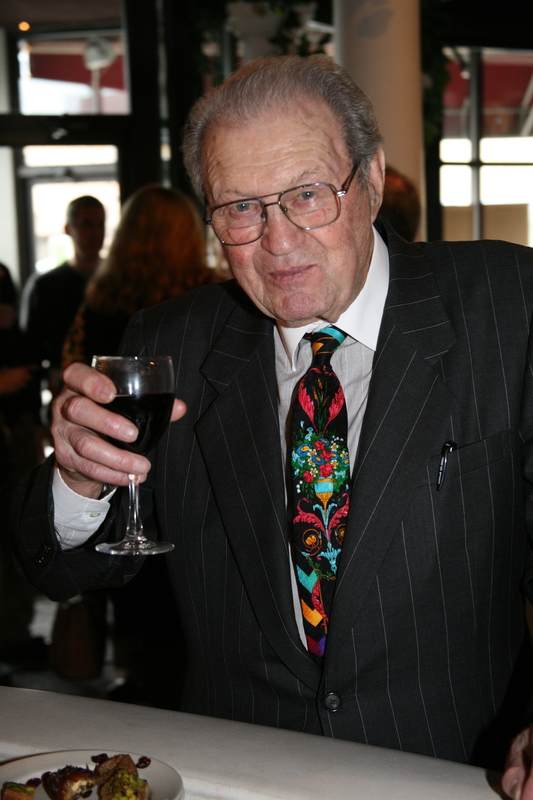 Ilya Raskin, Distinguished Professor at Rutgers, and his team of researchers started with regular red lettuce as parent stock and then bred the darkest strains to create new deep purple leaf and Romaine varietals, which they call RSL (Rutgers Scarlet Lettuce), now branded by Coastline Family Farms in Salinas California as Nutraleaf Burgundy Leaf Lettuce and Romaine™. Coastline is introducing the new lettuces to the produce industry at the Produce Marketing Association’s Fresh Summit conference in Anaheim, CA, where 30,000 retail, foodservice and produce representatives gather. They will also introduce it to over 8,000 registered dietitians at the 2014 FNCE conference in Atlanta. The lettuces were developed, through natural breeding processes to contain higher levels of the antioxidant group polyphenols and anthocyanins – twice as high, based on phytochemical analyses, when compare to blueberries. 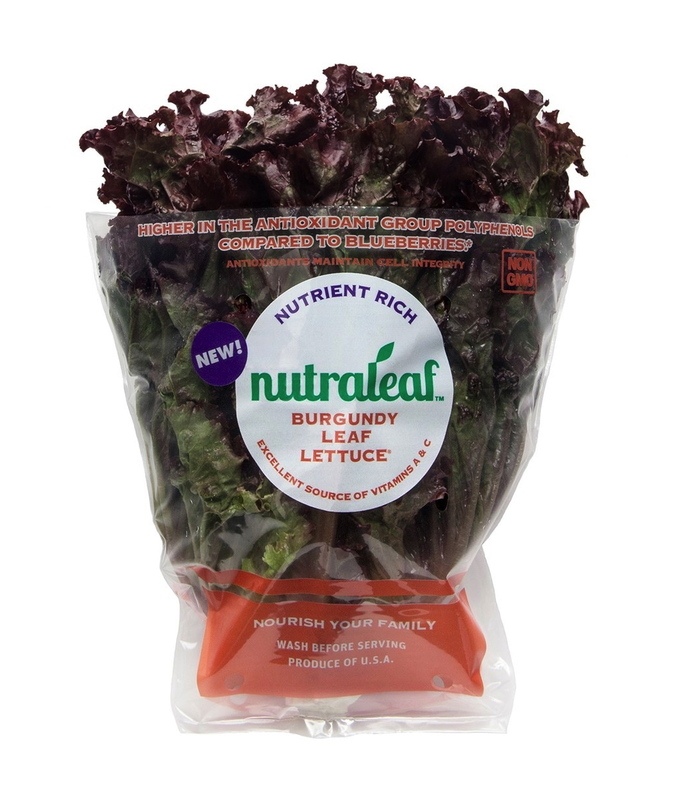 Nutraleaf Burgundy Leaf Lettuce™ and Nutraleaf Burgundy Romaine™ are nutrient rich at only 20 calories per 2 cup serving, are an excellent source of vitamins A and C and the mineral manganese, and a good source of fiber. The Nutraleaf Leaf Lettuce is also a good source of iron and potassium. Rutgers, who received partial funding for their research from the National Institutes of Health, has also been studying the impact of the new lettuces on health parameters. They have published one paper on their work in the prestigious scientific journal PLOS ONE and in the journal Nutrition. In this animal study, blood glucose was lowered in the intervention group that consumed RSL, which the authors attributed to the properties of the polyphenols found in RSL. In another animal study, just completed and awaiting publication, the Rutgers group also found positive effects on genetically obese mice. A European group is conducting a human nutrition study to document this benefit. But what is great nutrition without outstanding taste and enjoyment? I think you will be thrilled with these yummy recipes I developed working with Coastline Family Farm’s for their Nutraleaf lettuces launch. 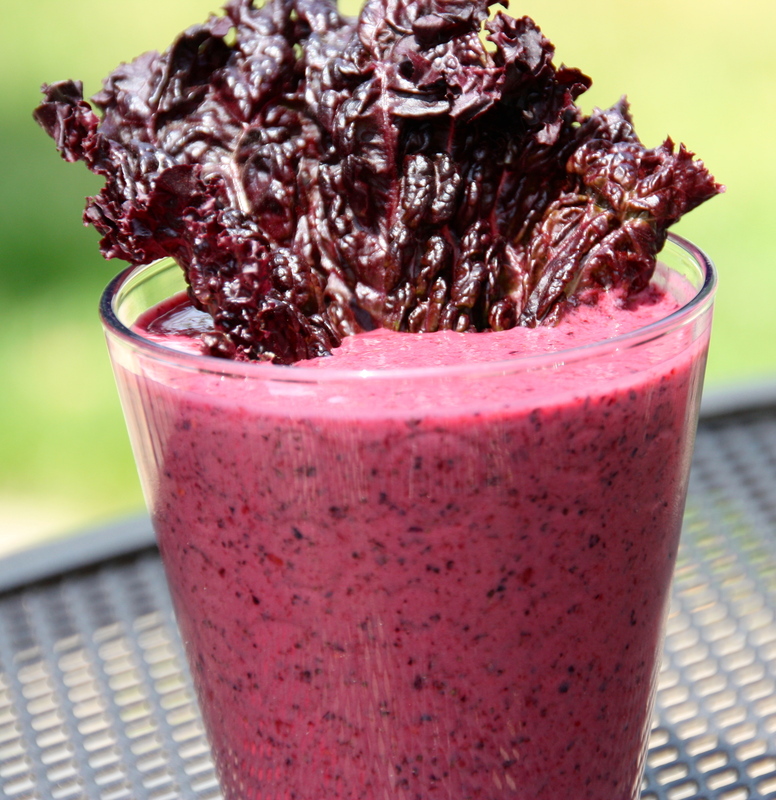 Definitely try out my “Purple Reign” smoothie recipe. Are you digging the Prince references? Wash and pat dry lettuce leaves and place in a blender. Add remaining ingredients and blend until smooth. Serve with a lettuce garnish. Cut up watermelon pieces and place in a fine mesh strainer. Place strainer over a glass measuring cup. Press watermelon pieces with a spoon and express out enough juice to yield ½ cup. Pour juice into a saucepan. Mix in all remaining ingredients. Bring to boil over a medium heat. Reduce heat and cook reduction down to a BBQ sauce consistency (about 20 minutes). Stir frequently. Set aside. Preheat grill. Place fingerlings in a microwavable bowl and heat on high for two minutes. Set aside. Place whole strawberries on their own skewer with four on each skewer. Skewer remaining vegetables, including fingerlings, on their own skewer. Brush all skewers lightly with canola oil. When grill is hot, place skewers on the grill. Cook until grill marks are apparent on all sides. Remove strawberries once grill marks occur (just a few minutes). 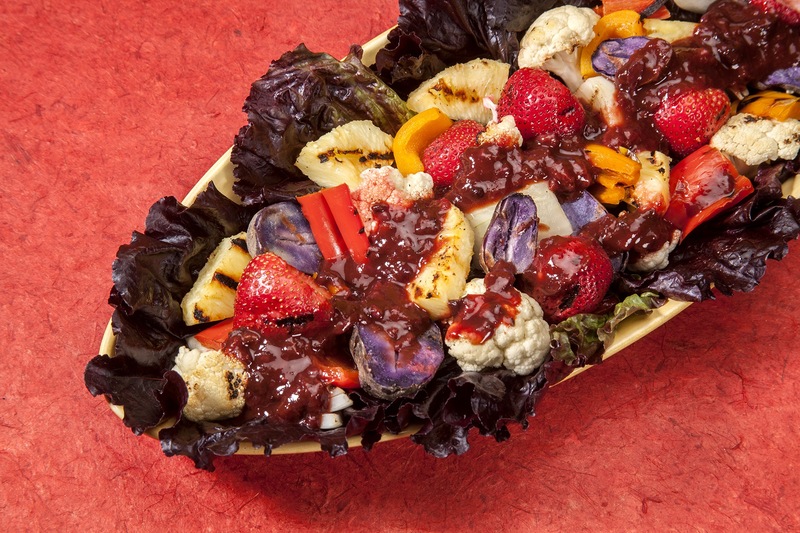 Brush BBQ sauce on remaining skewers and grill until veggies are soft. Set aside. Mix ingredients of dressing together. Set aside. Lay Burgundy lettuce leaves on a platter. Drizzle dressing over leaves. Place grilled mix on top of salad. Drizzle BBQ reductions over grilled mix and serve. 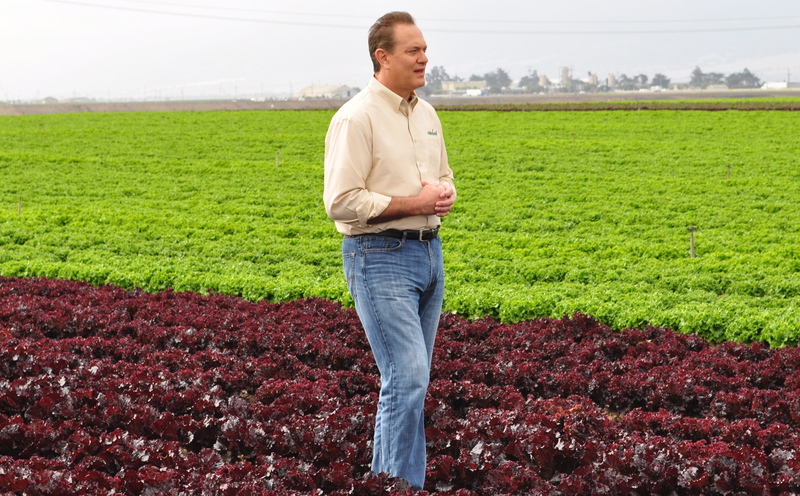 Lastly, Coastline Family farms, the exclusive grower/shipper of the Nutraleaf lettuces in North America, grows Nutraleaf lettuces along with 20 plus other premium lettuces and vegetables in the fertile Salinas Valley just inland from Monterey Bay, CA in the spring, summer and fall, and in the Imperial Valley in Southern California in the winter. To download more Nutraleaf recipes and for further information on Coastline Family Farms, please visit coastlinefamilyfarms.com/nutraleaf. When I was a young lad, about 16 years old, I had a rare opportunity to cook at the then famous Henrici’s Steak and Lobster restaurants, scattered throughout Chicago and vicinity. I basically did most of the prep work there but they did allow me behind the line to cook their wonderful beer batter-dipped onion rings, assemble huge shrimp cocktails and prepare their famous mushrooms, which usually were an accompaniment to the thick and juicy steaks they featured. The last ingredient added to the mushrooms, as they were sautéing, was a healthy splash of dry vermouth, which always flamed up for a nice show. That vermouth really added flavor and helped brown up the mushrooms, nicely. I think you are really going to like the recipe but don’t worry about the effects of the vermouth – the alcohol burns off as you are cooking down the mushrooms so they shouldn’t be calling DCFS on you because you served them to your kids. Feast your eyes on these mushrooms! Here’s the recipe! Very simple to make with only six ingredients. In a large skillet, add olive oil and butter and warm over a medium heat until butter is melted and mixture starts to bubble. Add in sliced mushrooms. 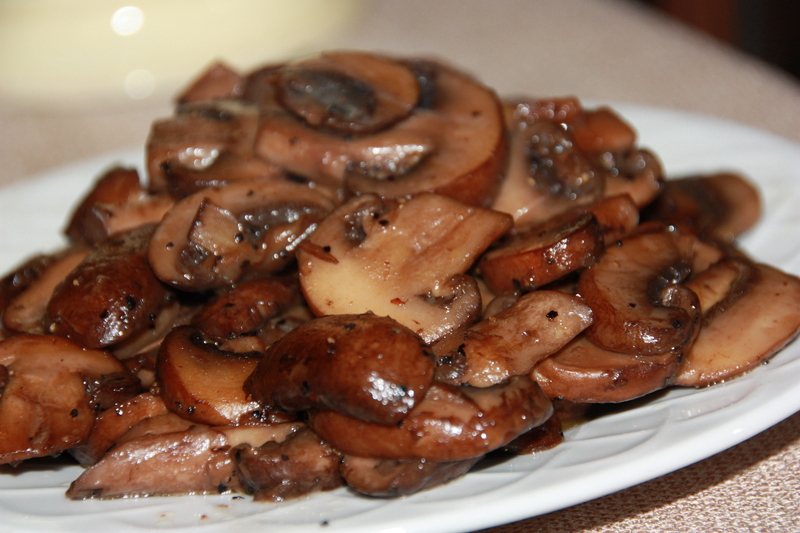 Stir and cover mushrooms well with oil and butter. Raise heat to high and continue to cook, stirring occasionally, until mushrooms become tender and fluid from mushrooms starts forming in the pan (about 10 minutes). Add seasoning salt and pepper. Stir mixture well. Cook for another few minutes until fluid in pan starts to reduce. Add vermouth and continue to stir and cook until mushrooms are browned and liquid is well reduced. Serve. Hope you enjoy these mushrooms as much as we do. They are terrific over eggs, fish and of course, meat. But they also make a great side dish.